Interesting photo received from Janis Olins (Latvia) saying he found our great site and saw that we offer help identifying vintage cars. He has this old photo of what could be a Lessner or a Russo-Balt. Can we help? -- We doubt this is either make. Our John Warburton confirms he thinks this is a cca 1905 Clement or a Talbot on the general appearance and the radiator outline, plus central mounting bolt in the radiator core that supported the fan. Interesting to see the spare Stepney rim in use. 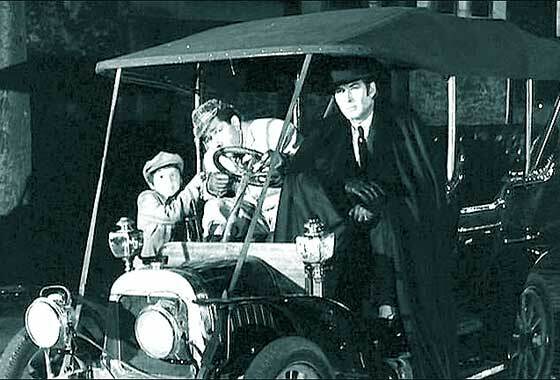 Cinema screen grab of a vehicle which appeared in a French film "Judex" made in 1963, cars being investigated by IMCDB, about an unscrupulous banker who receives a threatening note, signed by "Judex", demanding that he pay back the people he has swindled. -- The car is relatively unusual and not that easy to identify. It is a Lion Peugeot of cca 1907 type VA voiturette 8 CV as made by the 'Sons of Peugeot Brothers'. About a 1000 VA cars were made 1905 to 1908. One more of a number of photos received from Cicos Florin in Constanta by the Black Sea (Romania) who is interested in old cars of Romania and Constanta. However he believes this photograph from his collection is not from Romania. -- European car manufacturer best known for large, impressive and expensive carriages. Made in France near Paris, also had a separate division for commercial vehicles. 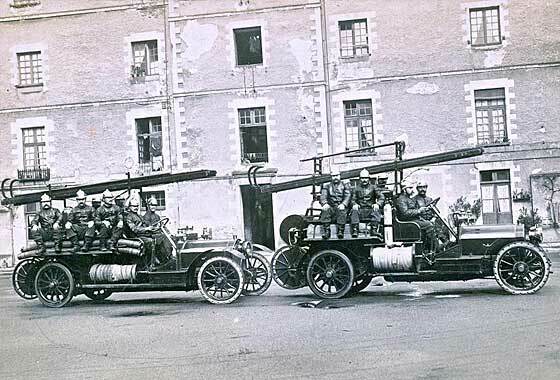 Our Tim Harding is sure they are cca 1910 Lorraine Dietrich Fire Engines. Lovely photo received from Tom Cosens from Yorkshire (UK) of an old car he didnt know what it was. Grateful for any help. Picture was probably taken around the Manchester area. -- I thought American because of the wheels but was put right by our John Warburton who suggested it was Belgian. Further investigation confirmed it was a cca 1911 Minerva Tourer, a smaller 14 or 16HP; from the rear hub and rounded rather than flat mudguards, and gas lighting. Electrics in 1912. Cinema screen grab of a vehicle which appeared in a French film "Judex" made in 1963, cars being investigated by IMCDB, about an unscrupulous banker who receives a threatening note, signed by "Judex", demanding that he pay back the people he has swindled. -- The car make is relatively easy to identify as it has a clear badge on the radiatior, but the model is a bit more complex. As it is a four seater but still with gas lighting, so this is a cca 1911 Delage Series 'A' 8 CV Tourer. 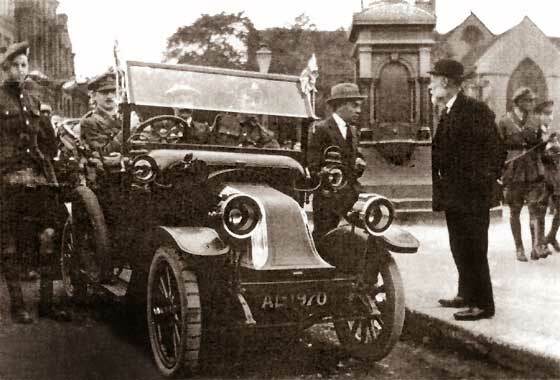 Another photo received from Alan Carr (Canada) saying it was taken in 1918 showing his late uncle Arthur driving his car in the Armistice Day parade in Hucknall, Notts. He had lost one leg and one eye during the war but apparently this didn't hold him back from buying and driving this car. It was apparently one of the very first owned in that town - but what was it? -- Interestingly enough, not English but French. This is a cca 1912 Renault AX Two Seater, and from bulkhead, bodied in England. 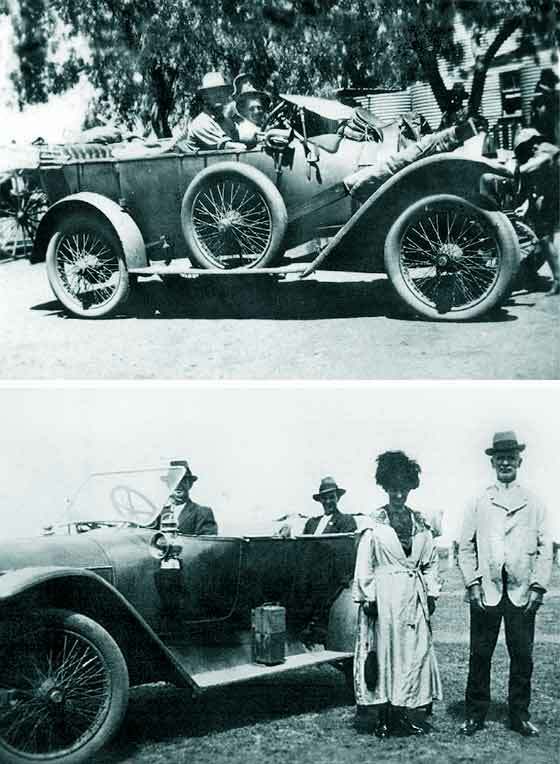 Photos received from Ben Antonio (Australia) trying to identify old family Benz of Phillip Bolte (GG Grandfather of wife Lisa) of West Wyalong, NSW, Australia, first cousin of Henry Bolte, of Bolte Bridge fame. 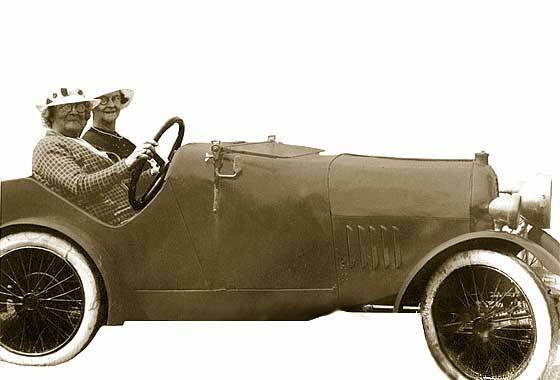 Bought car in Melbourne 1919 and transported to Wyalong by rail and could not be started, hence the saddle on the bonnet! 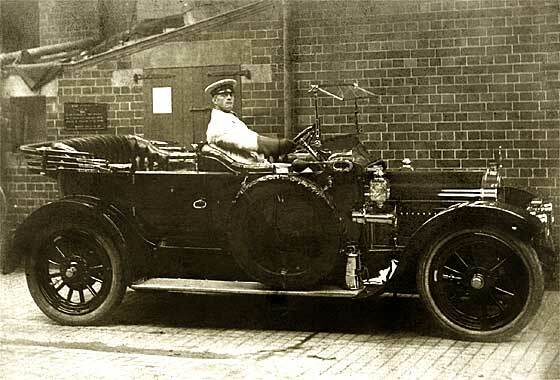 -- Our John Warburton advises car being light so probably cca1914 Benz 15'25 Tourer, unlikely smaller 12'20. Australian specialist thinks body is local. Interesting birthday card received by my wife on a significant birthday showing a little car which she then asked me to identify. While I did recognise that it looked like a Peugeot, I was not sure of the model. -- Our John Warburton quickly advised that it was a Peugeot Bebe but the bodywork is not like Bebes I have seen. Intensive searching of the internet did not come up with a picture of a similar car so I can only assume that this body is a 'special' on a cca 1913 Peugeot Bebe theme. One more of a number of photos received from Cicos Florin in Constanta by the Black Sea (Romania) who is interested in old cars of Romania and Constanta. This is a rather poor quality one for which he apologises. -- I have slightly enhanced the photo from which can be seen that it looks American, twenties and has electric lighting. 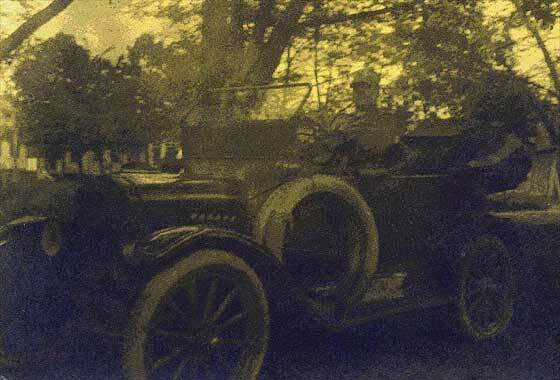 Confirmed by our John Warburton that it is a cca 1916 Ford Model T but with a special bonnet, various pointers but windscreen confirming year. Intriguing photo received from Michael Parkes (UK) from a Bramley Carnival Parade in Leeds possibly taken during the 1920's - 1930's. -- Bramley Pageant on the web has bottom photo with Page Boys in same uniform, taken in 1946. From the outer louvre molding and large brakes it is a cca 1916 Cadillac Model 53 Touring. Looks pristine and no drivers door. Either the page uniforms were carefully preserved for many years, or the car was. In view of 'costumes' very difficult to date photo! This is a puzzling one as I seem to have lost trace in the many enquiries we get of who sent the original photos. Even more puzzling is that I got a reply from somebody I do not appear to know (Howard Burrows) identifying both machines. 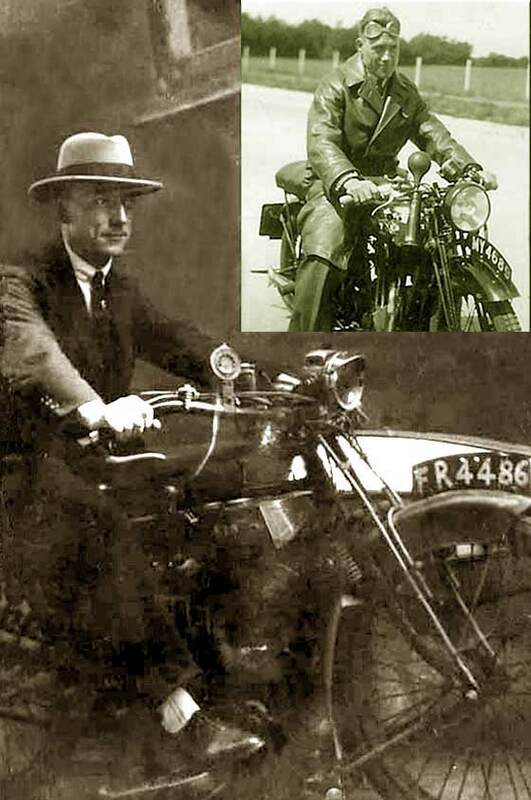 -- The motorcycle in the smaller photo is a 1930/31 250cc Twin Port OHV BSA. Registration MY 4689 is Middlesex County Council 1929-33. The motorcycle in the larger photo is a 1921 350 SV AJS, reg FR 4486 being a motorcycle Blackpool CBC registration. 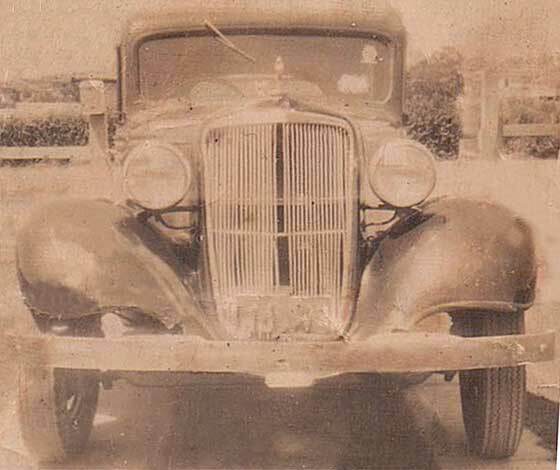 Photo received from Linda Laughton (UK) saying she is researching her family tree and would like to know what make of car this is. 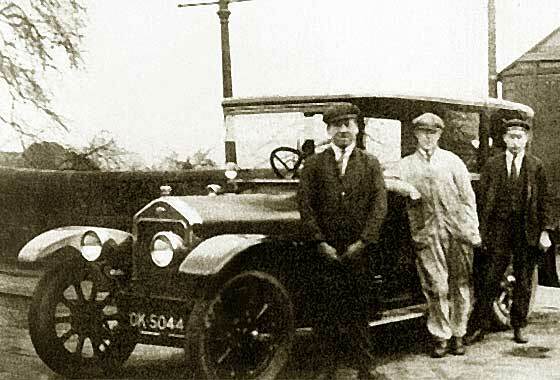 Registered 1922 in Birmingham and photographed near Barnsley, Yorkshire. Cannot identify it from any books/internet.-- Not very good print so assuming registration is OM then indeed Birmingham CBC issued near end 1922. The car is a chauffeur driven vehicle and from bulkhead, wheels and headlamps appears to be 1922 Wolseley 15 Town Carriage. 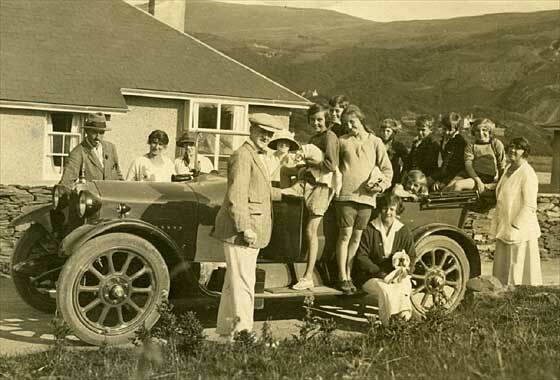 Puzzling photo received from Eileen Stokes (UK) asking if we can help in identifying the car in the photo. -- Obviously English but annoyingly I could not not recognise the radiator at all. 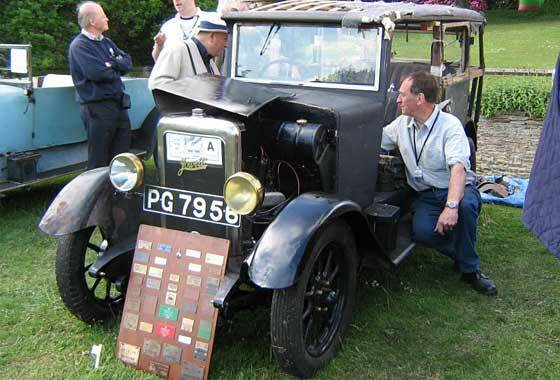 Answer from our John Warburton was three simple words: 1924 Rover 14 HP. What is more annoying is that Rovers of the period were dead easy to recognise by having a square notch in the bottom of the header tank which I simplly failed to spot in the photo. Not been able to see the wood for the trees! Photo received from Deborah Poulton (UK) of car with husband's grandparents, Frederick and Lily Stephens and daughter Lucy, 1927-1930. Grandparents lived in Pakistan where he was Engineer on Sukur Barrage and was in charge of the Electric power station at Gokak. 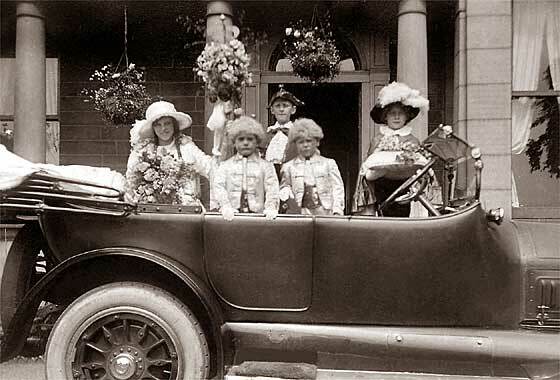 They came back to UK for holidays and bought or rented a car for the season -- Looked like a Morris Six but was not. 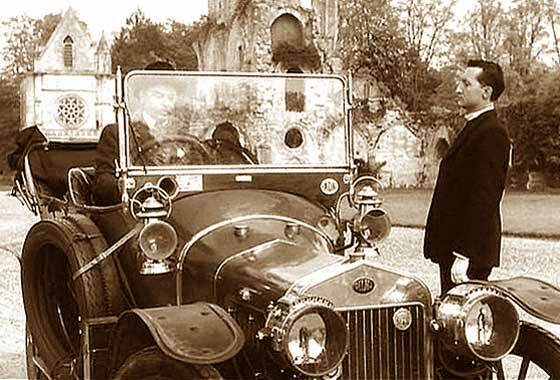 Windscreen gave the game away to it being built by Morris Garages so a cca 1927 MG 14/28 Tourer. Interesting enquiry from Brian Trorby (UK) who has regained ownership of this 1927 registered 348cc Blackburne-engined Rex Acme. Bought originally from Col. JMTF Churchill in 1962 after he bought the entire collection from Robert John "Lofty" Dunkeld of Coulsdon. 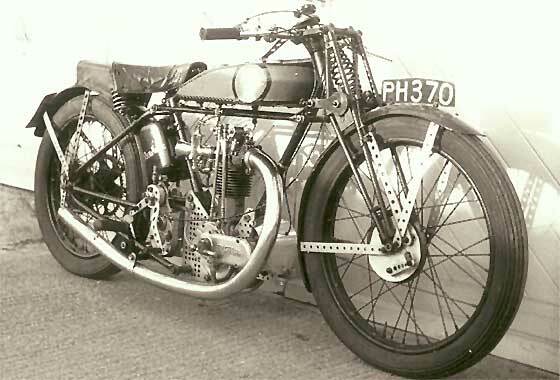 The Rex Acme may have been raced at Brooklands by a very famous rider and had broken records. Brian is looking for any additional history. -- We would ask your help, and will be pleased to pass on any info received. A number of photos received from Bill Gannon (USA) asking what year is this Essex and an approximate value? -- We do not have experience on values of American cars so asked our friends at the AACA. Regretfully nobody came back with a value so we cannot help but they did confirm that the car is cca 1929 Essex Coach. Perhaps some of our American readers may know? Essex was wholly owned subsidiary of Hudson. Essex renamed Terraplane 1932 and then simply Hudson 1938. 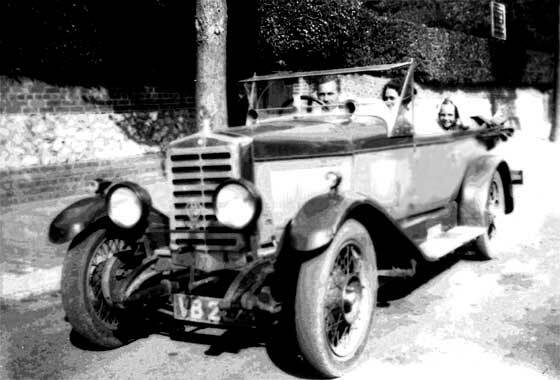 Ian Howell owns a 1930 Jowett Saloon, registration PG 7956, with a dark blue fabric body, bought in about 1966 from Mr. F John Budgett the proprietor of J Chambers and Son in Redhill. The car was originally sold by Hunts of Guildford. Ian has made contact with a relative of Mr Budgett but Ian would very much like to hear from his mechanics, and anyone who has knowledge of this car in the period from 1930 until his purchase in 1966. Also, he would appreciate info on 'Hunts of Guildford'. 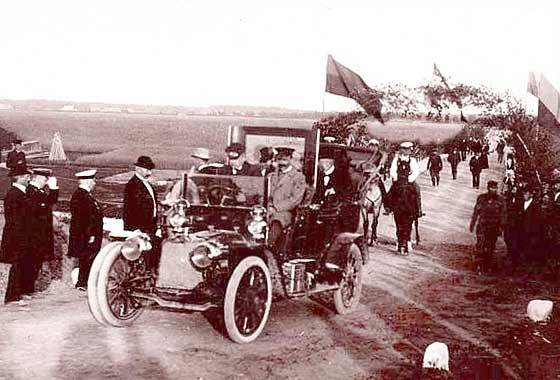 One more of a number of photos received from Cicos Florin in Constanta by the Black Sea (Romania) who is interested in old cars of Romania and Constanta. This is from his collection of photos of busses. -- More American vehicles in 1930s Romania. This photo shows a smart 1930 Ford AA small bus for 'A1' service, but cannot make out the writing on the windscreen to say where? Interesting lattice supports for the headlamps. I love the kid just peeping out by the windscreen right ! One more of a number of photos received from Cicos Florin in Constanta by the Black Sea (Romania) who is interested in old cars of Romania and Constanta. This is from his collection of photos of busses. -- Seems that American vehicles were very popular in 1930s Romania. 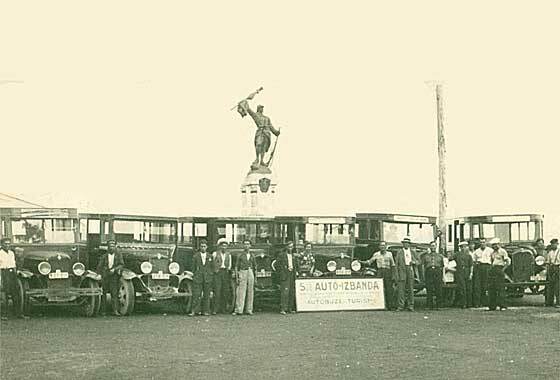 This photo shows a couple of busmen with their American made busses. Confirmed by Tim Harding that left is a Ford AA and right is a Chevrolet LQ. Wonder what the two smart white uniformed chaps did? Policemen? One more of a number of photos received from Cicos Florin in Constanta by the Black Sea (Romania) who is interested in old cars of Romania and Constanta. This is from his collection of photos of busses. 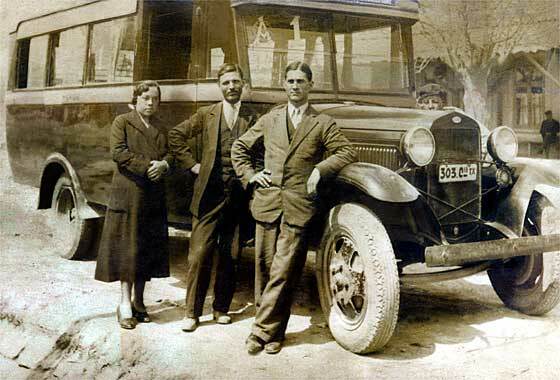 -- It seems from Florin's photos that American vehicles were very popular in 1930s Romania. This fleet from Soc Auto Izbanda are all Chevrolets. The four on the left seem to be a variant on the 1930 type LQ chassis and the two on the right seem to be 1933 CB Master models. A series of period photos received from Paulette Smith, Tasmania (Australia) showing husband's family taken in New South Wales c1940-1949. She believes the cars are older than the 40s. -- Battered photo which we have had a go at repairing. Therefore this one was a bit more difficult. We feel this is American and required the assistance of our friends at the AACA. 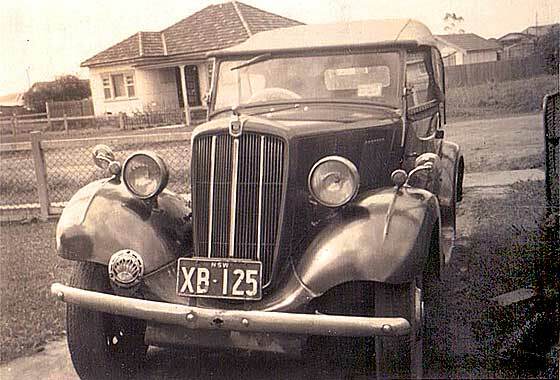 They advised this is a cca 1933 Chevrolet Master Sedan manufactured locally in Oz, and RHD from the windscreen wiper. Photo received from John Wells. Sydney, (Australia) saying he has recently inherited some photographs which once belonged to his uncle who when he was a teenager, owned various sports cars. All cars he is pictured with remain a mystery to John. -- Rather unusual British car from Morris Garages (MG) which followed long line of fast sporting cars. This was a more elegant touring car being a cca 1937 MG SA Drop Head Coupe of which only 2,700 were made. Of the later WA only 369 made. Photo received from John Wells, Sydney, (Australia) saying he has recently inherited some photographs which once belonged to his uncle who, when he was a teenager, owned various sports cars. -- Registration is either FAF Bristol about May 1938 or EAF Cornwall CC about Jan 1938. The previous photo of a Hillman was Bristol County Borough Council. 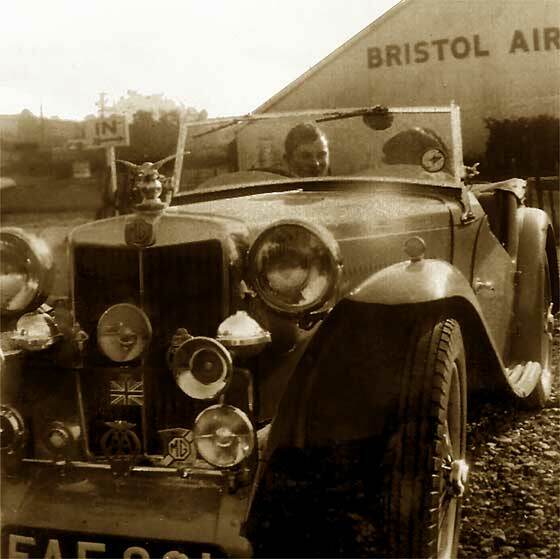 Photo appears to have been taken near the then new Bristol Airport opened 1930. The car is cca1938 MG TA Open Two Seater. 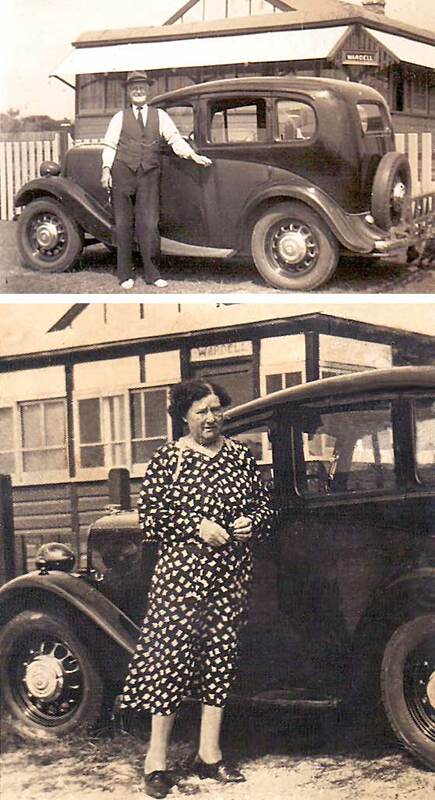 A series of period photos received from Paulette Smith, Tasmania (Australia) showing husband's family taken in New South Wales c1940-1949 : Great Grandfather Leslie Austin and Great Grandmother Ann Austin (nee Calbran). Are any of the vehicles "Austin's" due to their surname? -- Sorry No! Both photos are of the same car. Car was made in England by Austin's main competitor. This is a cca 1938 Morris Eight Saloon, a Series Two. Over 200,000 S1 and 2 Eights were made 1935-38. A series of period photos received from Paulette Smith, Tasmania (Australia) showing husband's family taken in New South Wales c1940-1949. After many hours searching the internet, she believes this may be a Morris Minor. Please correct if wrong!? -- Please feel chastised, - but not a lot! Right make, wrong model. Actually the same model as the car above but with a different body. 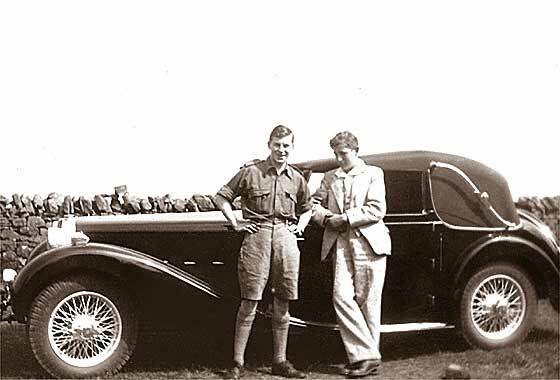 This is a cca 1938 Morris Eight Four Seat Tourer, a Series Two. Seemed to like Morrises! Which came first?